The year is 2048. Southeastern Europe. Built on the ruins of the country once known as Greece, New Athens is a city crawling with life-low-life, that is. From mech smugglers and drug dealers, to corrupt politicians and all-too-powerful corporations, the city is at the mercy of high-tech criminals. And it's up to Solano, Thermidor, and the rest of the New Athens Special Police to keep the city in order. 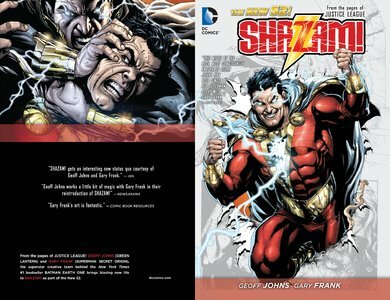 Collects the Shazam! stories that originally appeared in Justice League #7-11, #0, #14-16 and #18-21. Admit one to a new collection of horrifying tales! Grab your popcorn and candy, as Velvet, the beautiful usher from beyond the grave, introduces Arcana's brand of spine-tingling horror in this anthology. Featuring stories from Mark Poulton, Stephen Sistilli, Dexter Weeks, and many more. Velvet Rope is sure to make a killing at the box office! Time to reload: DOUBLE BARREL is back! Zander's hero HECK begins his horrific journey through the underworld, with faithful sidekick Elliot at his side... but they'll be reminded of some painful truths about themselves they'd rather not face. Meanwhile in Kevin's CRATER XV, the Royal Canadian Arctic Navy recruits Army Shanks to sneak aboard an ominous Soviet ship... before it launches a rocket into space! But can he focus on the mission when a pretty face from his past enters the picture? Plus BONUS short comics from both artists, Zander's tips for hand-lettering comics, your letters, and more! Saddle up with the Cannons for another dose of digital adventure! THIS is what comics are all about! THIS... is DOUBLE BARREL! This swampy delight bundles together two hilarious 16-page stories from the unstoppable creative mind of James Kochalka (Johnny Boo, Dragon Puncher, American Elf, SuperF*ckers)! First, two "Rotten Little Cuties" search for a killer party and debate the meaning of life, then a pair of moss mounds claim to have invented "Facebook," and get very confused when trying to explain what that means. Saddle up your spores and don't miss the fun of FUNGUS! Apartment 3-G is an American newspaper soap opera comic strip about a trio of career women who share the eponymous Apartment 3-G in Manhattan. Created by Nicholas P. Dallis with art by Alex Kotzky, the strip began May 8, 1961, initially distributed by the short-lived Publishers Syndicate, which soon merged with King Features Syndicate. Gasoline Alley is a comic strip created by Frank King and currently distributed by Tribune Media Services. First published November 24, 1918, it is the second longest running comic strip in the US (after The Katzenjammer Kids) and has received critical accolades for its influential innovations. In addition to inventive color and page design concepts, King introduced real-time continuity to comic strips by showing his characters as they grew to maturity and aged over generations. 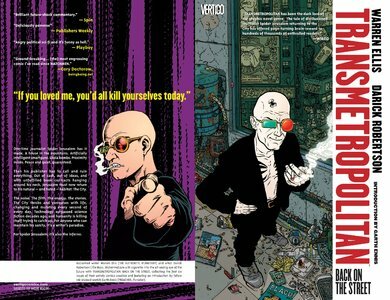 Artist Ted Slampyak and writer Jay Maeder are responsible for the strips in Volume 2, published between January 27, 2005 and June 20, 2005. In these stories, Springtime In Ratznestistan and Bones of the Yucatan, Ted's work for Annie truly matures into his own unique style - while still retaining a Gray-like sensibility and a nod to Herge's "ligne claire" technique. Jay Maeder reprises his role as tale spinner of all things Annie. Jay's Annie is just as honest, sassy and adventurous as the original who helped sink a Nazi submarine off the coast of the good old USA in the 1940s. Little Orphan Annie is back to fight injustice in the 21st century! She's called Annie now and her adoptive father, Oliver Warbucks (don't call him Daddy), is a buff billionaire in the risk-seeking mold of Elon Musk or Larry Ellison. Sometimes chaperoned by Warbucks' ace flyer Amelia Santiago, Annie and her canine companion Sandy find their way into thrilling and often dangerous adventures. Rex Morgan, M.D. is an American soap-opera comic strip, created in 1948 by psychiatrist Dr. Nicholas P. Dallis under the pseudonym Dal Curtis. It maintained a readership well over a half-century, and in 2006 it was published in more than 300 U.S. newspapers and 14 foreign countries, according to King Features Syndicate. The strip's look and content was influenced by the work of Allen Saunders and Ken Ernst on Mary Worth. In 2008, Rex Morgan, M.D. celebrated its 60th year in print. One of Top Cow's lasting legacies in the comic world is the studio Marc Silvestri founded to nurture young artists. Today's top artist lists are filled with alumi of the famous Top Cow "Pit". The Art of Top Cow is a massive collection that combines The Art of The Darkness, The Art of Witchblade, and The Art of Marc Silvestri into a single tome, complete with select additional pieces rendered by some of the best artists to have graced the pages and covers of Top Cow titles.